Cascara is a strong laxative. It has not been shown to treat or prevent cancer. Cascara is made out of the bark of the Cascara sagrada plant. It is known to stimulate the large intestine and produce a well-documented laxative effect. Cascara also causes water and electrolytes (such as sodium and potassium) to flow into the large intestine and be expelled from the body with the feces. This facilitates bowel passage but also can lead to dangerously low potassium and sodium levels if cascara is used for prolonged periods of time. Scientists have isolated a compound called aloe-emodin from cascara. In laboratory studies, this compound is able to inhibit the growth of tumor cells by halting cell division, but it is unknown if this effect would take place in the human body. Scientists have also studied whether cascara might be a carcinogen, with inconsistent results. Cascara is one of the ingredients in the Hoxsey herbal therapy, which is promoted for cancer. There is no evidence that the Hoxsey herbal therapy is effective in treating cancer. Scientific evidence supports this use, but prolonged use is not recommended because it can lead to dangerous blood electrolyte imbalances. The FDA warns that cascara is not safe to use as a laxative. Laboratory studies show that a compound found in cascara, aloe-emodin, has anticancer activity, but laboratory results are often not transferable to the human body. Clinical trials have not yet been conducted. Long-term use or overdose of cascara can cause electrolyte imbalances, characterized by very low blood levels of potassium, sodium, and chloride. It may lead to liver injury. The FDA has warned that cascara is not safe to use as a laxative. Cascara may be a carcinogen (cancer-causing substance). Certain compounds in cascara can discolor urine and interfere with urinalysis. You are taking drugs that are substrates of P-Glycoprotein (P-Gp): Emodin, a compound present in cascara inhibits P-Gp, and may affect how these drugs are absorbed or metabolized. Reported: Fresh cascara contains anthrones, which may cause vomiting and intestinal cramps. Toxicity: Excessive use can cause diarrhea and weakness. Rare: Cascara has been associated with cholestatic hepatitis (liver disease characterized by impairment of bile flow). Case Report: Toxic hepatitis (inflammation of the liver) has been been reported with use of cascara. The FDA has warned that cascara is not safe to use as a laxative. 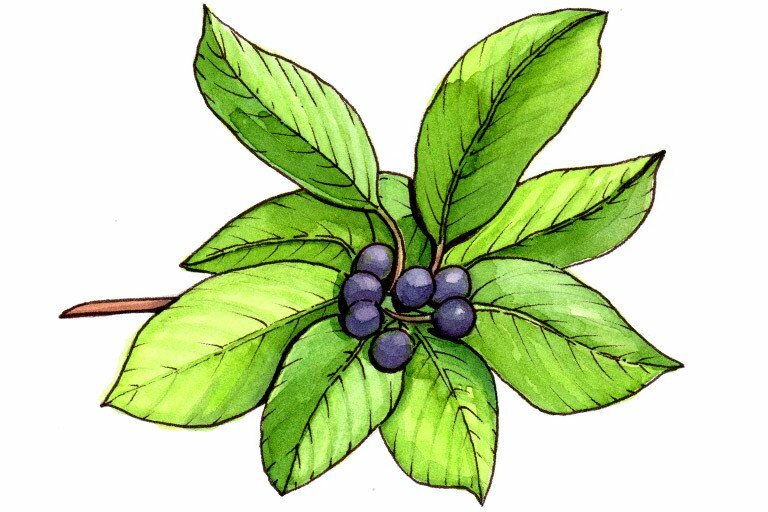 Cascara sagrada is a species of buckthorn plant native to North America. The bark of the plant has been used to relieve constipation. The major constituents are cascarosides that stimulate the large intestine and produce a laxative effect. In vitro studies indicate that emodin, one of the constituents of cascara, has hepatoprotective (17), neuroprotective (18), anti-osteoporotic (21) and chemopreventive effects (10) (12) (13). Emodin also enhances the cytotoxic effects of some chemotherapeutic agents (14) (15) (19) (20). Human studies have not been conducted to confirm these effects. Prolonged use or overdose of cascara can cause diarrhea, electrolyte imbalance, and hepatitis (7). According to the United States Food and Drug Administration, cascara has not been shown to be safe nor effective as a laxative drug (11). Despite this FDA ruling, cascara continues to be marketed as a dietary supplement. It is also used as an ingredient in the Hoxsey herbal formula, an ineffective alternative cancer treatment. Cascarosides, the major constituents, stimulate the large intestine and produce a well-documented laxative effect. Cascarosides increase intestinal motility and lead to propulsive contractions. This results in an increased water and electrolyte content in the lumen, which further facilitates bowel passage. The other constituent emodin has direct excitatory effect on circular smooth muscle cells in the large intestine (9). Emodin may play a protective role against osteoporosis. It was shown to suppress the receptor activator of nuclear factor-κB (NF-κB) ligand (RANKL)-induced osteoclast differentiation of bone marrow macrophages (BMMs), and the bone resorption of mature osteoclasts via inhibiting expression of RANKL-induced NF-κB, c-Fos, and NFATc1 (21). The emodin and aloe-emodin in cascara also demonstrate anticancer properties. In vitro studies show that aloe-emodin induces expression of p53 and p21 resulting in cell cycle arrest in the G1 phase (8). However, more studies are needed to confirm this effect. Studies on the carcinogenic effects of cascara have produced conflicting results (4) (5) (6) (10). Chronic use may cause electrolyte imbalance, especially hypokalemia. The FDA ruled that cascara is not safe as a stimulant laxative (11). Rare: Cascara has been associated with cholestatic hepatitis (7). Case Report: Toxic hepatitis has been been reported with use of cascara (16). P-Glycoprotein (P-Gp): Emodin inhibits the activity of P-Glycoprotein in vitro and in vivo, and may affect the transport of drugs mediated by this protein (22). Barnes J, et al. Herbal Medicines. Second Ed. London: Pharmaceutical Press; 2002. DerMarderosian A, editor. The Review of Natural Products. St. Louis: Facts and Comparisons; 1999. Gruenwald J, et al. PDR for Herbal medicines, Montvale (NJ): Medical Economics Company; 1998. Borrelli F, et al. Effect of bisacodyl and cascara on growth of aberrant crypt foci and malignant tumors in the rat colon. Life Sci 2001;69:1871-7. Wang H, et al. Induction of cytochromes P450 1A1 and 1B1 by emodin in human lung adenocarcinoma cell line CL5. Drug Metab Dispos 2001;29:1229-35. Mereto E, et al. Evaluation of the potential carcinogenic activity of Senna and Cascara glycosides for the rat colon. Cancer Lett 1996;101:79-83. Nadir A, et al. Cascara sagrada-induced intrahepatic cholestasis causing portal hypertension: case report and review of herbal hepatotoxicity. Am J Gastroenterol 2000;95:3634-7. Kuo P, et al. The antiproliferative activity of aloe-emodin is through p53-dependent and p21-dependent apoptotic pathway in human hepatoma cell lines. Life Sci 2002;71:1879-92. DeWitte P, et al. Bicascarosides in fluid extracts of cascara. Planta Med 1991;57:440-3. Koyama J, et al. Chemopreventive effects of emodin and cassiamin B in mouse skin carcinogenesis. Cancer Lett 2002;182:135-9. Food and Drug Administration. http://www.fda.gov/ohrms/dockets/98fr/050902a.htm. May 9, 2002. Accessed October 28, 2015. Wang XD, Gu LQ, Wu JY. Apoptosis-inducing activity of new pyrazole emodin derivatives in human hepatocellular carcinoma HepG2 cells. Biol Pharm Bull. 2007 Jun;30(6):1113-6. Huang Z, Chen G, Shi P. Emodin-induced apoptosis in human breast cancer BCap-37 cells through the mitochondrial signaling pathway. Arch Pharm Res. 2008 Jun;31(6):742-8. Huang XZ, Wang J, Huang C, et al. Emodin enhances cytotoxicity of chemotherapeutic drugs in prostate cancer cells: the mechanisms involve ROS-mediated suppression of multidrug resistance and hypoxia inducible factor-1. Cancer Biol Ther. 2008 Mar;7(3):468-75. Li J, Liu P, Mao H, et al. Emodin sensitizes paclitaxel-resistant human ovarian cancer cells to paclitaxel-induced apoptosis in vitro. Oncol Rep. 2009 Jun;21(6):1605-10. Jacobsen C, Semb S, Kromann-Andersen H. [Toxic hepatitis following consumption of the herbal medicinal product Cascara Sagrada]. Ugeskr Laeger. 2009 Nov 9;171(46):3367-9. Bhadauria M. Dose-dependent hepatoprotective effect of emodin against acetaminophen-induced acute damage in rats. Exp Toxicol Pathol. 2010 Nov;62(6):627-35. Liu T, Jin H, Sun QR, Xu JH, Hu HT. Neuroprotective effects of emodin in rat cortical neurons against beta-amyloid-induced neurotoxicity. Brain Res. 2010 Aug 6;1347:149-60. Chen RS, Jhan JY, Su YJ, et al. Emodin enhances gefitinib-induced cytotoxicity via Rad51 downregulation and ERK1/2 inactivation. Exp Cell Res. 2009 Sep 10;315(15):2658-72. Ko JC, Su YJ, Lin ST, et al. Emodin enhances cisplatin-induced cytotoxicity via down-regulation of ERCC1 and inactivation of ERK1/2. Lung Cancer. 2010 Aug;69(2):155-64. Kim JY, Cheon YH, Kwak SC, et al. Emodin regulates bone remodeling by inhibiting osteoclastogenesis and stimulating osteoblast formation.J Bone Miner Res. 2014 Jul;29(7):1541-53. Li X, Hu J, Wang B, et al. Inhibitory effects of herbal constituents on P-glycoprotein in vitro and in vivo: herb-drug interactions mediated via P-gp. Toxicol Appl Pharmacol.2014 Mar 1;275(2):163-75.